Cheers! Who needs another glass of wine? If it means popping open another bottle and getting closer to your next craft project, why not? My household goes through a lot of wine, and that means we also go through a lot of wine corks. I imagine that most wine-consuming folks collect their corks for one reason or another, and I’m always putting them away for this idea or that. 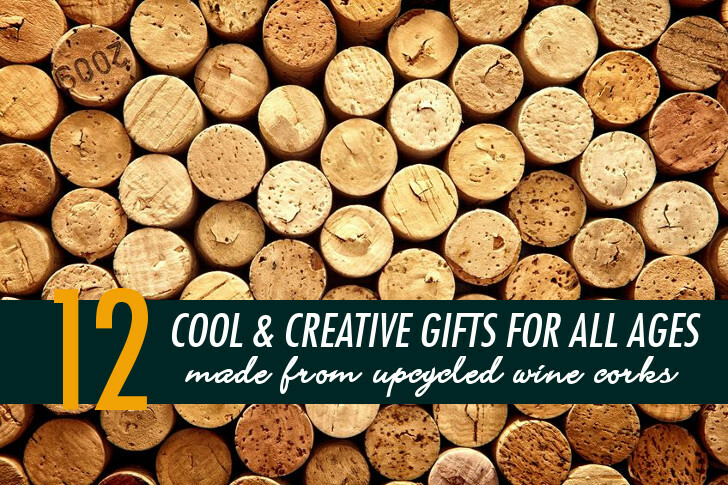 With the holiday gift giving season upon us, it’s time to dust off the stash and figure out how many cute, upcycled gifts we can make from those discarded corks. What to make? 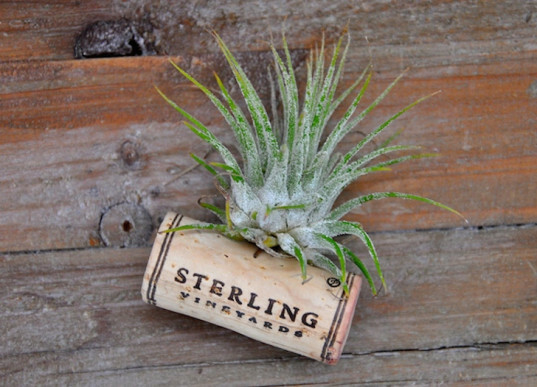 Here’s a collection of 12 amazing DIY gifts made from old wine corks. If you haven’t been saving up, don’t worry. Check with your local wine store or favorite restaurant to obtain old corks. You can also buy them online in varying quantities on sites like eBay. 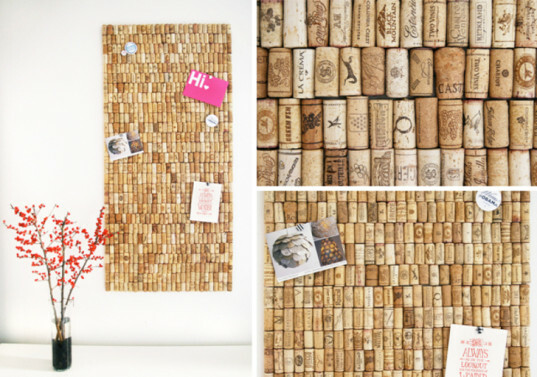 Even if you only have a handful of used corks in your possession, you’ll be able to find something on this list to make in just a few minutes. 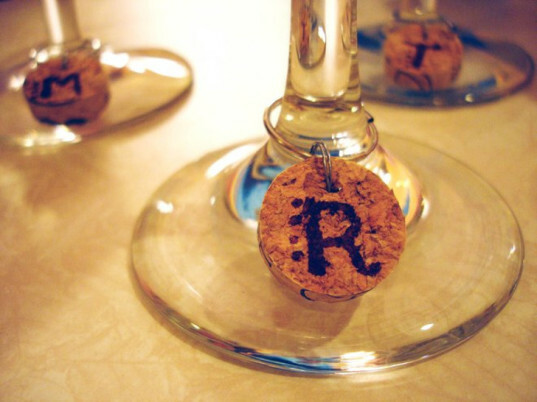 Who doesn’t need their very own wine cork drink coaster? 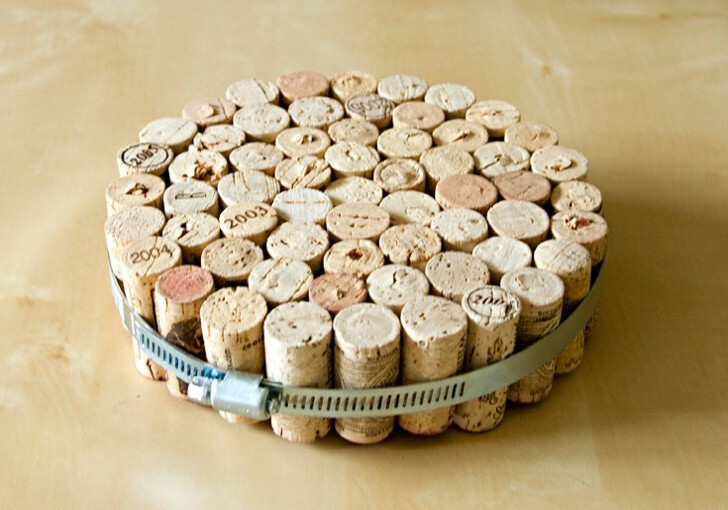 If you have enough corks, make a full set in just a few minutes! Even someone with the blackest thumb can take care of an air plant. Make this cute magnet plant holder to brighten up someone’s fridge or office space. 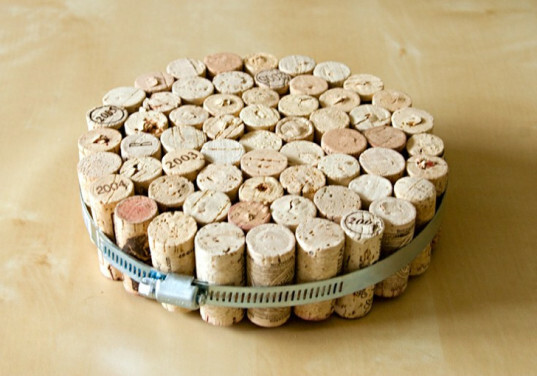 Cork trivets are a welcome addition to any kitchen, especially if they are homemade! Customize to the size that your gift recipient is likely to use the most: smaller for teapots and larger for serving dishes. Leave a message! Most busy households have some kind of bulletin board, and it may even be cork, but few are this stylish. 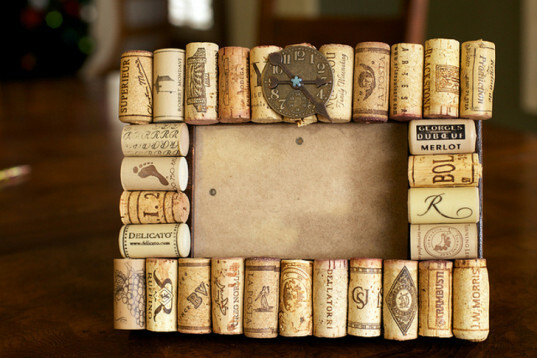 Transform an old frame into a functional message board with personality. This craft upcycles both used wine corks and an old picture frame. It’s a great project for frames that may be chipped or otherwise unpleasant in appearance. Bonus points if you enclose a picture of you with your gift recipient! 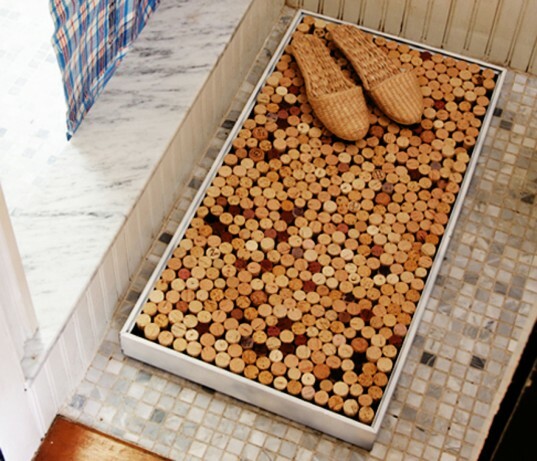 Cork is naturally resistant to mold and mildew, so it’s perfectly at home in the bathroom. Although this project requires a lot of corks and a little more time to assemble, it will last for years. For the gardener in your life, a set of custom garden markers is a fantastic reuse for old wine corks. 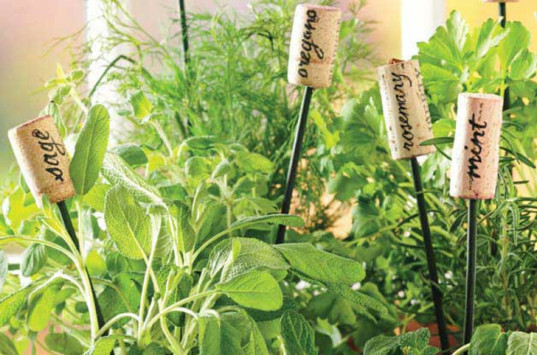 Label them with your friend’s favorite plants, or enclose a paint pen so they can customize the markers on their own at planting time. Wine corks aren’t just for adults. 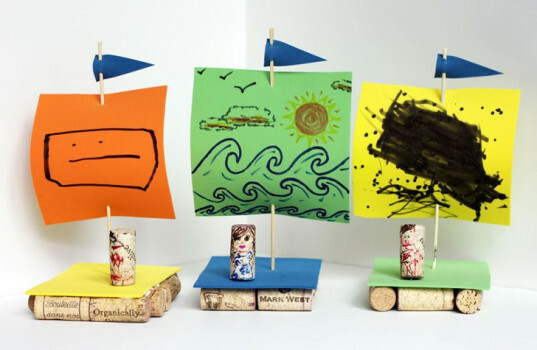 Make a flotilla of wine cork boats and let the kids have a race in a tub, baby pool, or pond. Whose glass is whose? Forgo fancy storebought wine charms and make a set. This DIY project makes a great hostess gift. Mark them with initials, numbers, or affix small tokens like tiny seashells or buttons. 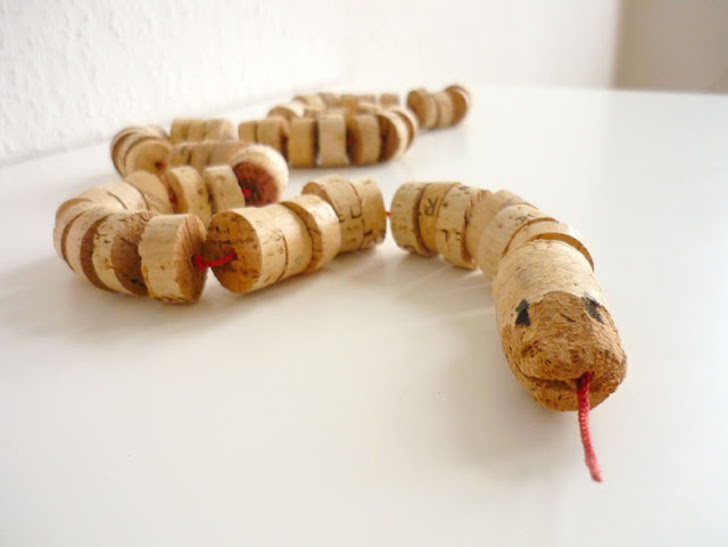 This deceptively cute snake is made simply from cut wine corks and string, making a great toy for the young reptile lover in your life. 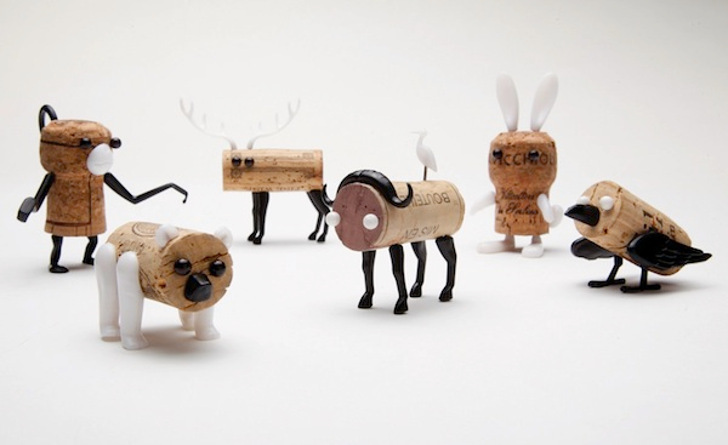 With a few extra pieces, you can turn wine corks into cute little animals and create a cork animal zoo! 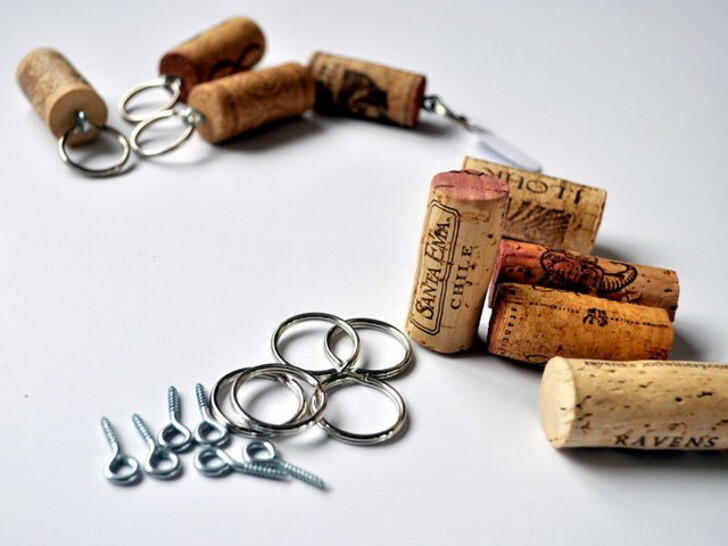 These clever wine cork keychains won’t promise that your friend will never lose their keys again, but they do offer a stylish way to display one’s love of vino.